January 1st, 2019- Strategic Technology Institute (STi) has been awarded as a Prime contractor SeaPort Next Generation (NxG) contract vehicle. The award, announced in December 2018, will allow STi to continue its support the U.S. Navy in SeaPort NxG’s two work categories: engineering support services and program management. The multiple-award, indefinite delivery, indefinite quantity (IDIQ) contract holds a total value of $5 billion. As one of 1,870 companies to be awarded this opportunity, STi will begin to compete for individual task orders in support of a range of Navy and Department of Defense organizations, including the Naval Sea Systems Command, Space and Naval Warfare Systems Command, Naval Supply Systems Command, Military Sealift Command, Naval Facilities Command, the Office of Naval Research, and the U.S. Marine Corps. STi will leverage extensive experience performing services for the Navy under NxG’s predecessor contract, SeaPort-E, which was launched in 2001. STi currently holds a Prime SeaPort-E contract and has been active in six out of the seven SeaPort-E geographic zones. The company will continue to provide support through SeaPort-E until the vehicle is retired in December 2019. A preferred service provider to the U.S. Government since 1985, STi will continue to leverage its experience, expertise, and ability to attract outstanding employees to enhance the performance and capabilities of each of its customers. 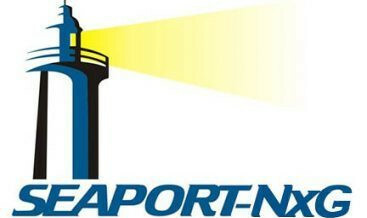 SeaPort NxG is currently set for a five-year base period and one five-year option period. The contract vehicle offers provisions for small business set aside work in all categories: veteran-owned, woman-owned, HUBzone, small disadvantaged, and general small business. Though there are currently less than 2,000 businesses that have been awarded this contract, the Navy will continue to add companies through on-ramp opportunities, the first of which is expected in about two years. The small but diverse pool of winners are located in 46 out of the fifty states, in Washington, D.C., and in Guam.